An attempt to map the entire world, alphabetically, in a day. To name every country in its own language, and to collect a story for every country, and to place it, correctly, on the map, from memory. 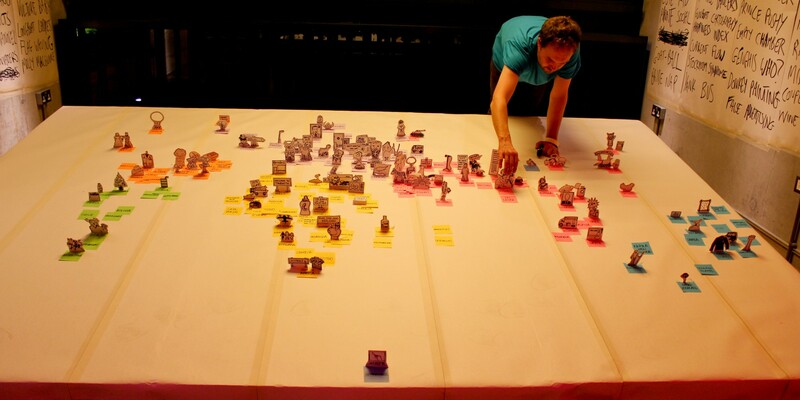 Using cardboard, paper, pens and post-it notes, and with the help of the audience, Third Angel and mala voadora build a portrait of the world, as it was, as it is now, and as it might be in the future. Devised and performed by Jorge Andrade, Alexander Kelly, Hannah Nicklin and Chris Thorpe. 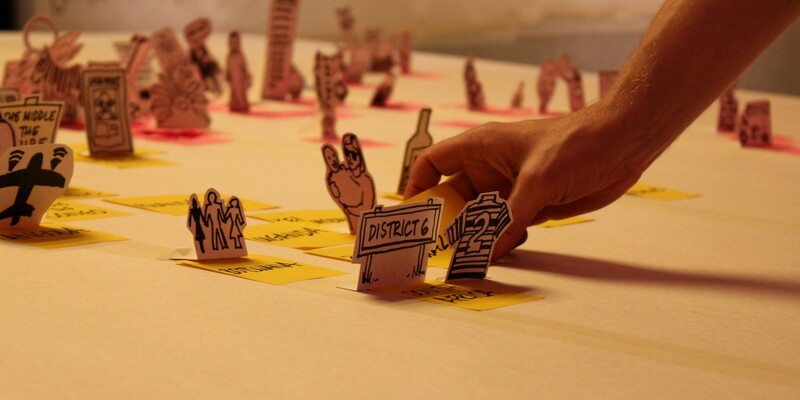 Story Map is a durational research performance that gathers and exchanges stories. 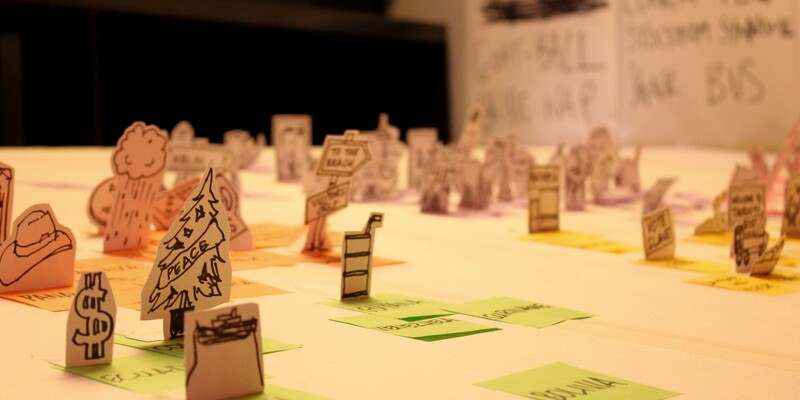 Originally conceived as a research-engine for the theatre piece, What I Heard About The World, Story Map grew to become a 12 hour durational performance in its own right. Both pieces are part of a collaboration between Third Angel (Sheffield) and mala voadora (Lisbon), and produced in association with Worldmapper.org. The stories gathered are of fakes and replicas, facsimiles and substitutes; not deceptions - the inauthentic used knowingly in the everyday. Original performances were created for Forest Fringe events in Glasgow and Edinburgh (where it was called, ambiguously, Research Table) with subsequent performances at the Society of Cartographers’ Summer School in Manchester, and the Transform season at West Yorkshire Playhouse. In collaboration with Rachael Walton and Jose Capela. What I Heard About The World is a co-production with Sheffield Theatres, Teatro Maria Matos and the Pazz Performing Arts Festival. Photos, audio and video from Story Maps in Hull, Stockton, Corby, London and Leicester.